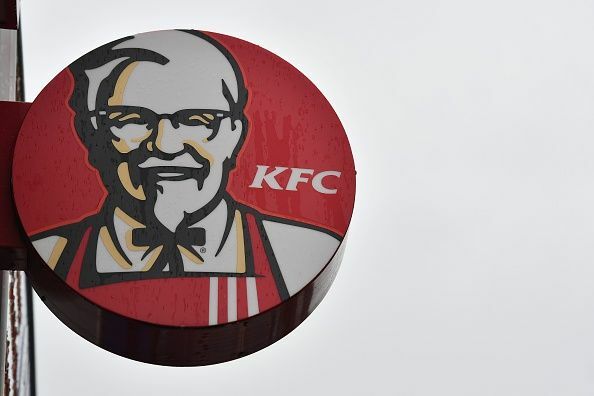 A woman from Delaware won a $1.5 million discrimination lawsuit against a Kentucky Fried Chicken franchise after she claimed that she had been demoted for wanting to pump breast milk at work. Autumn Lampkins was awarded $25,000 in compensatory damages and $1.5 million in punitive damages on Friday, the Delaware News Journal reported. In its verdict, the jury found that she had suffered gender discrimination and harassment after she was demoted for pumping milk during her shifts at the KFC/Taco Bell franchise in Delaware. "It was a great and long-fought victory," Lampkins' attorney, Patrick Gallagher of Wilmington law firm Jacobs & Crumplar P.A., told the news outlet. "It's a great day for women's rights. The jury sent a message that employers cannot treat lactating women differently in the workplace." Lampkins was reportedly hired a few months after giving birth in 2014. She claimed she faced discrimination from her supervisors and her co-workers for trying to pump breast milk at work, according to the Delaware News Journal. In the lawsuit obtained by the publication, Lampkins said it was recommended that she pump milk every two hours but was only allowed to pump once during each 10-hour training shift. Her milk supply ultimately dried up, according to the Delaware News Journal. The former employee also claimed that when she was able to pump milk during her shifts, there was no privacy because of the surveillance cameras and windows in the restaurant, the publication reported. She was asked to pump in the manager’s office, despite the surveillance camera in the office. When she asked if the camera could be turned off, the franchise refused, according to the Delaware News Journal. Following her training, she was moved to another franchise where co-workers complained that Lampkins would get special “breaks” to pump milk, according to the publication. The complaints eventually led to her demotion. In a similar incident, a woman from Louisville, Kentucky, filed a lawsuit in November against a Texas Roadhouse restaurant, where she claimed she was told to cover up while breastfeeding. Sadie Durbin said she was breastfeeding her 7-month-old child when an employee approached her and attempted to cover the child’s face, the Louisville Courier-Journal previously reported. Following the incident, Durbin posted about her experience at the restaurant on Facebook. She said the employee did not apologize to her. “He didn’t apologize. He didn't acknowledge he was wrong. He said, ‘Well, as a manager I am obligated to tell you we are getting complaints and ask you to cover up,’ threw the napkin down in front of me, and angrily walked away with a huff,” Durbin previously wrote.